Last week our Team Leaders were in Havana, Cuba conducting the Pre-Trip for our upcoming, 2018 medical mission. The trip was a success and the WOGO team will dive right into the detailed planning and programming for the April trip. A Pre-Trip is an important part of every medical mission. 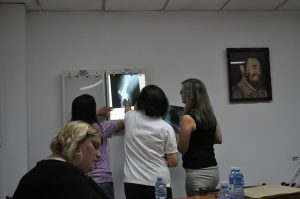 On the trip, team leaders spent time with the host hospital staff and leadership planning out the details for the week of the medical mission to provide free joint replacement surgeries to those in need. Team members exchanged contact information and shared key information about how processes work at that individual hospital. 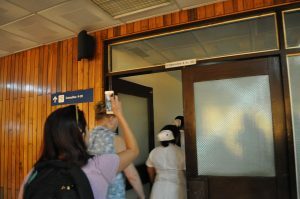 Following a welcome kick-off meeting, tours of all the areas in the hospital that WOGO will use were key to the trip. Team leaders took videos of the tour to help with mapping out the routes the team will need to take. The team walked these routes multiple times to commit them to memory so that we can share this information with the full WOGO team upon return in April for the medical mission. Photos were taken of rooms we will utilize and available equipment in the hospital. These photos will be shared with all the area leaders so they can plan for their group’s needs during the mission to come. A second, more informal meeting followed on day two for questions that came up during reviews of our first meeting and tour notes. Final dates were selected and agreed upon. 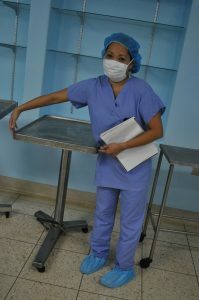 We were lucky in Havana to get our complete potential patient list, x-rays and medical information so that our surgeons, internist and lead nurse can review to prep for our clinic day in April. The Pre-Trip isn’t just about the hospital though. The logistics leader reviews hotels, restaurants, transportation options and activities for the team to do on their time off. 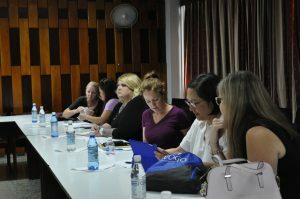 There are discussions about local safety, nightlife, cultural activities and, of course, shopping. All of this information is used in planning the trip for the 50+ person team that will travel in May. The trip to Havana was a success! We are looking forward to sharing our preparation with you as we march towards our start date in April. 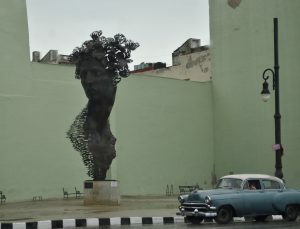 If you’d like to support WOGO in Cuba you can visit https://wogo.org/product/donate/ and donate today.